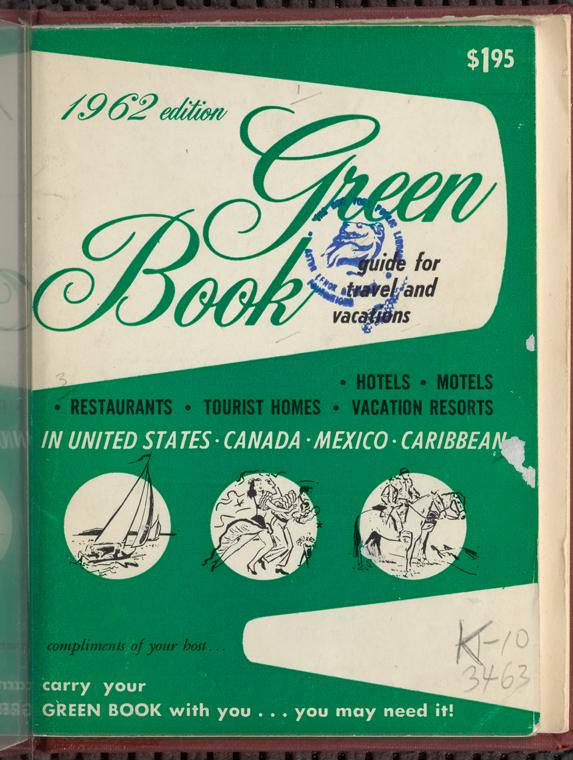 The movie “The Green Book” takes it title from a travel guide many black Americans found essential 60 years ago, but which most white Americans knew nothing about. 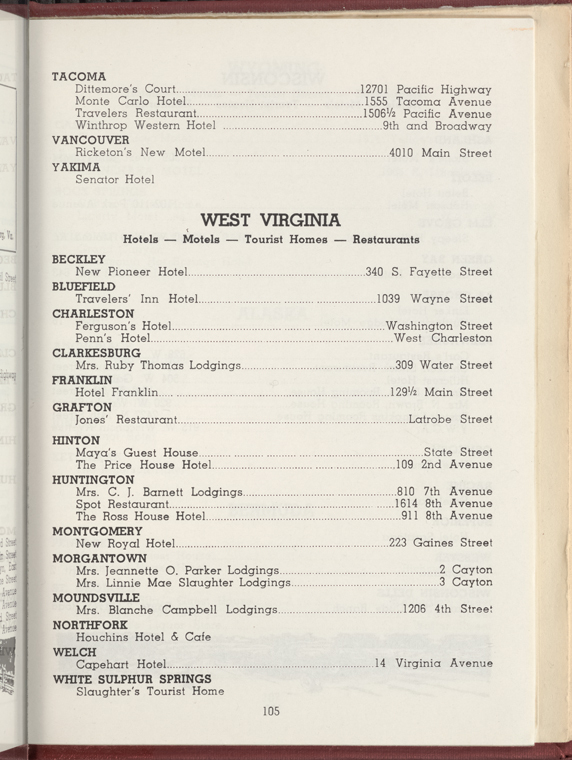 The book listed hotels, restaurants and other places where blacks would be welcome in an era of segregation. Sometimes the listings included private homes. The stretch of highway between known safe places often was painfully long. The 1962 edition of the guide has a minor role in the film, appearing a couple times. A copy is available to view in the digital archives of the New York Public Library. 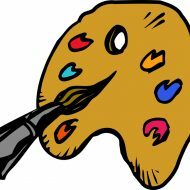 Its pages list U.S. locations by state. Idaho has 12 listings, including one in Lewiston, the Lewis-Clark Hotel. Designed by Kirtland C. Cutter, known for the Davenport Hotel in Spokane, the landmark building still stands on Second and Main streets at the west edge of downtown Lewiston. It closed as an overnight hotel in 1977. There are plans to renovate it in the coming years. Victor Green, a black postal carrier in Harlem, N.Y., published the first version of the travel guide in 1937 to make it easier and safer for black people to travel. Green obtained his information from other postal carriers and, eventually, his readers, offering money for each accepted account. The 1962 version was the first edition to list a Lewiston location. 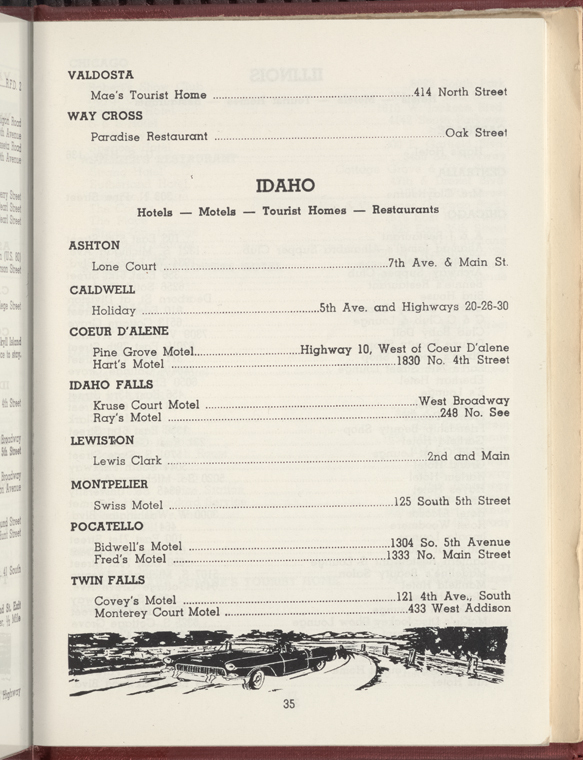 Other Idaho cities listed were Ashton, Caldwell, Coeur d’Alene, Idaho Falls, Montpelier, Pocatello and Twin Falls. Boise, listed in previous editions, was no longer listed in 1962. 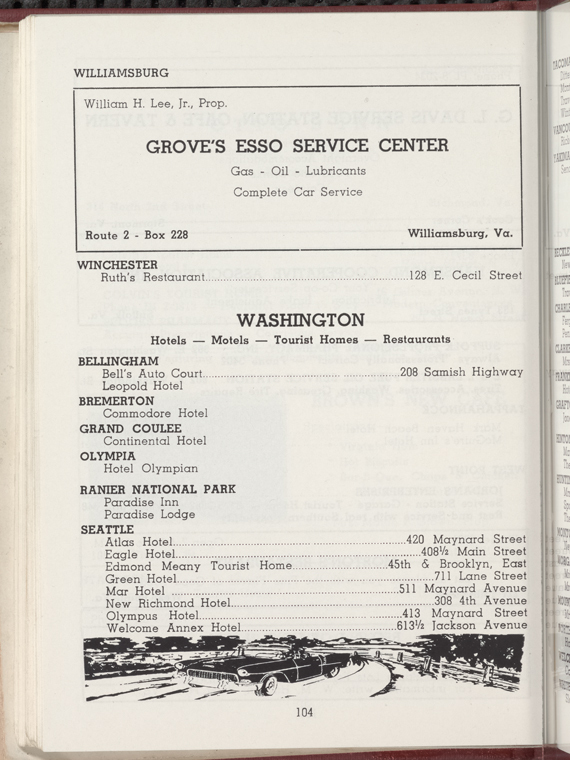 If someone was traveling west from Lewiston, the next nearest hotel known to admit black people in Washington was in Yakima. 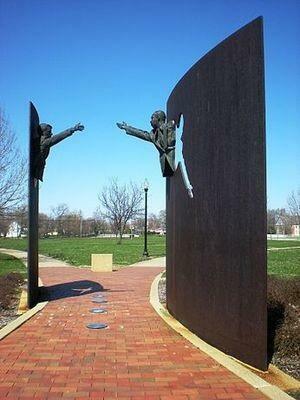 The civil rights movement brought about the end of the guide in the late 1960s as legal segregation came to an end and people pushed for equal access.